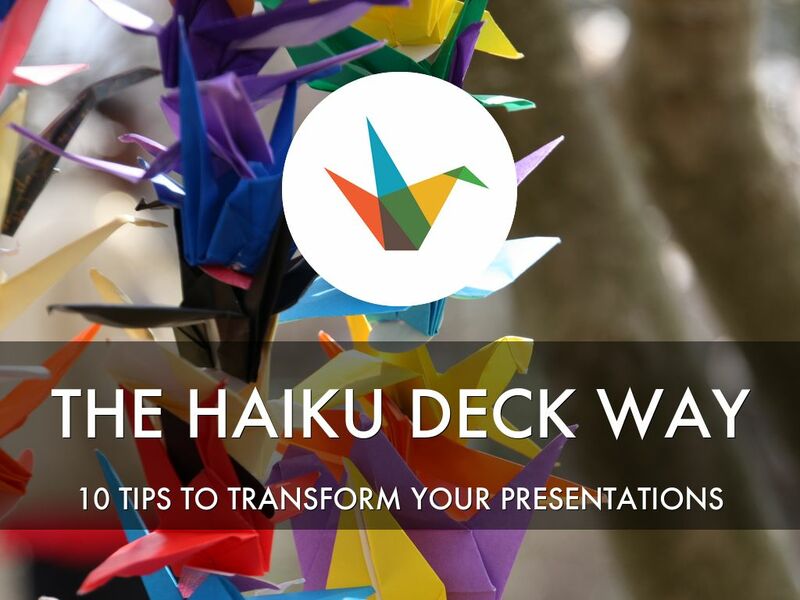 Haiku Deck will completely transform the way you think about presentations. You can learn more at http://haikudeck.com, download the free iPad app at http://bit.ly/ScJc5m, or request a new platform here: http://bit.ly/12SRHal. 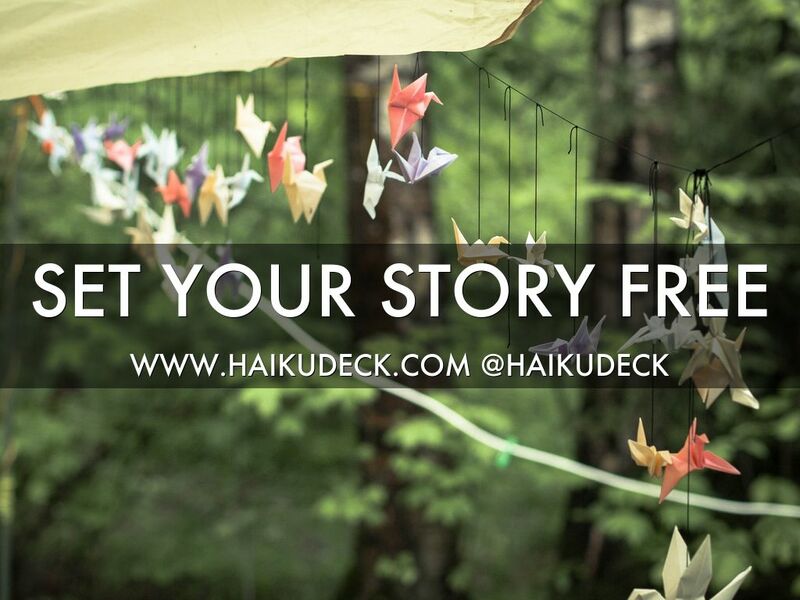 This is a perfect introduction to Haiku Deck and the ideas that inspired it, but these tips will help you tell your story more effectively no matter what tool you're using. Ideas and inspirations to help you focus your message, communicate visually, and connect with your audience more effectively. 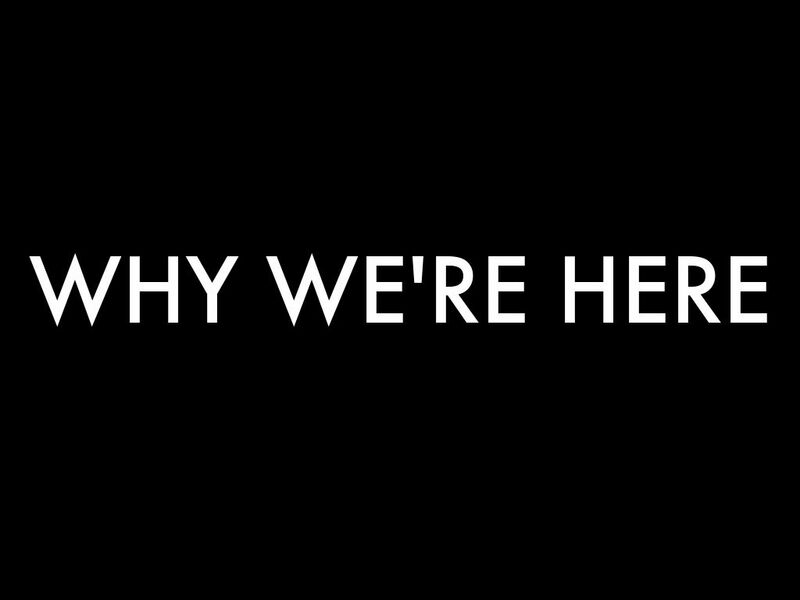 We believe that everyone has amazing stories to tell and ideas to share. We also believe that presentations--the expression of those ideas--should be inspiring and captivating. After all, what are presentations but stories? They should capture our attention and speak to our emotions. They should stir our imaginations. They should make time stand still. Yet, too often, it's time standing still in the not-so-inspiring way. We fall into the header-and-bullets formula. We turn our slides into slideuments. We pack them with tiny text and read them out loud, word for word. Does the world need more flying bullet points and lame clip art? We say no. 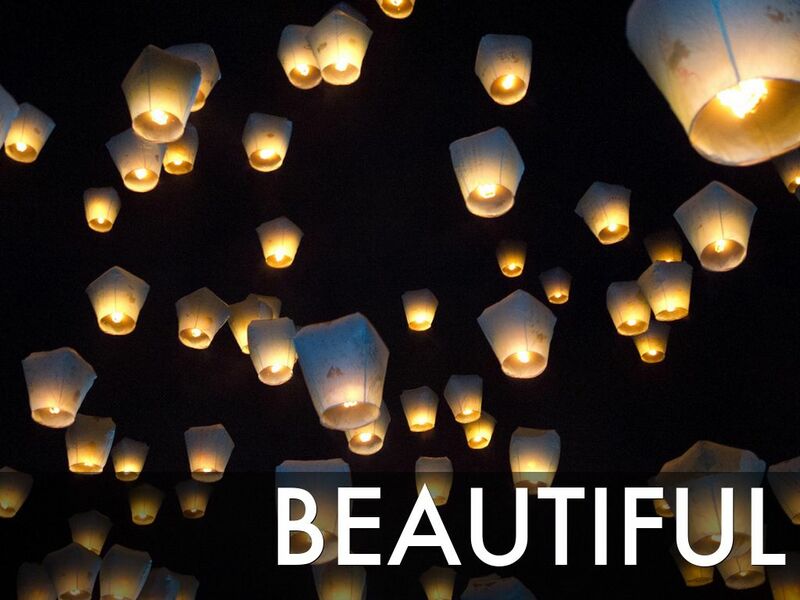 Does it need more beautiful stories and ideas? More simplicity, more fun? 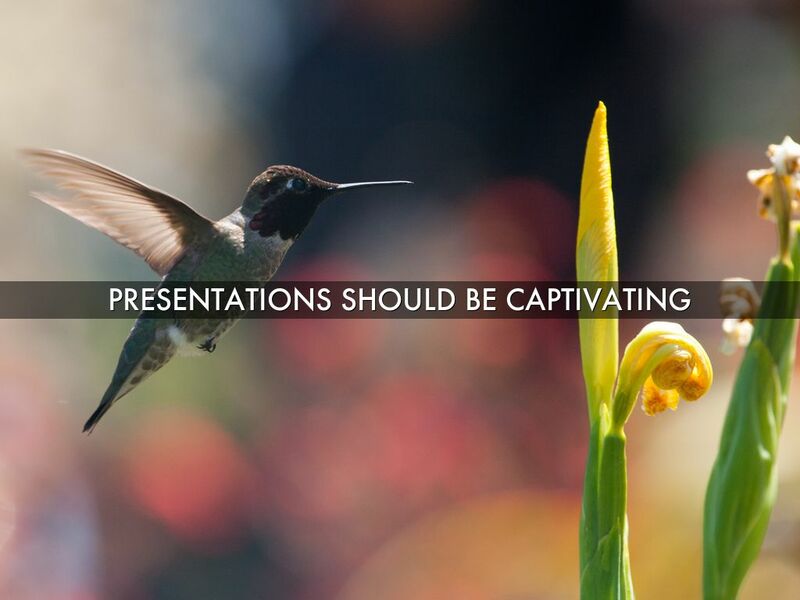 With Haiku Deck, we set out to reimagine the experience of creating and sharing presentations. We wanted to make it incredibly simple for anyone to produce flawlessly beautiful slides, with minimal time and effort. We believe that constraints lead to creativity (the haiku, which inspired our name, illustrates this perfectly). Many presentation tools operate under the assumption that more is better--more options, more choices, more gimmicks. In our view, less is more. Image isn't everything, but let's face it--it matters. Even the most compelling story can fall flat if it unfolds in unappealing slides filled with 8-point text. We believe that beautiful, image-rich slides should be easy for anyone to create. 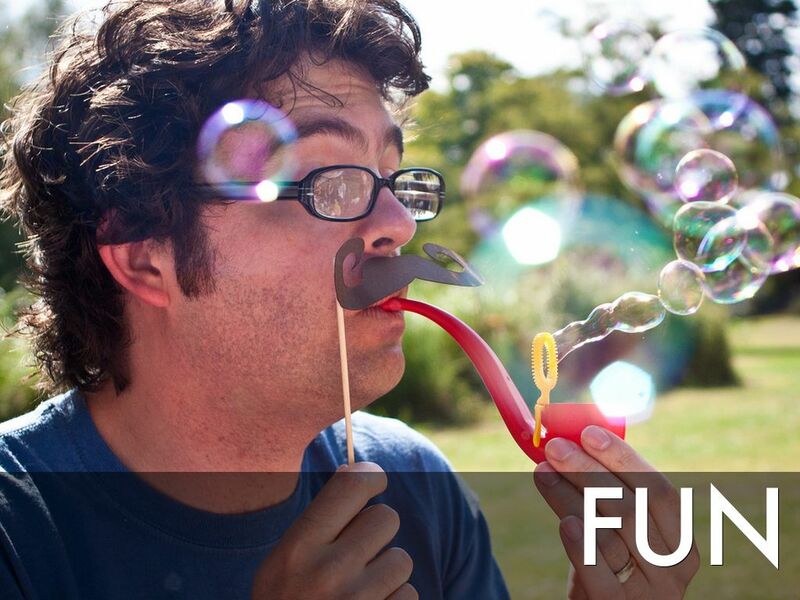 "Fun" is not a word that most of us associate with either creating or listening to presentations. But we don't see why these things shouldn't be fun! We have studied the advice of many presentation experts, and we have specifically designed Haiku Deck to make it easy to follow their recommendations. Here are few tips that are especially good to keep in mind, no matter what presentation tool you're using. 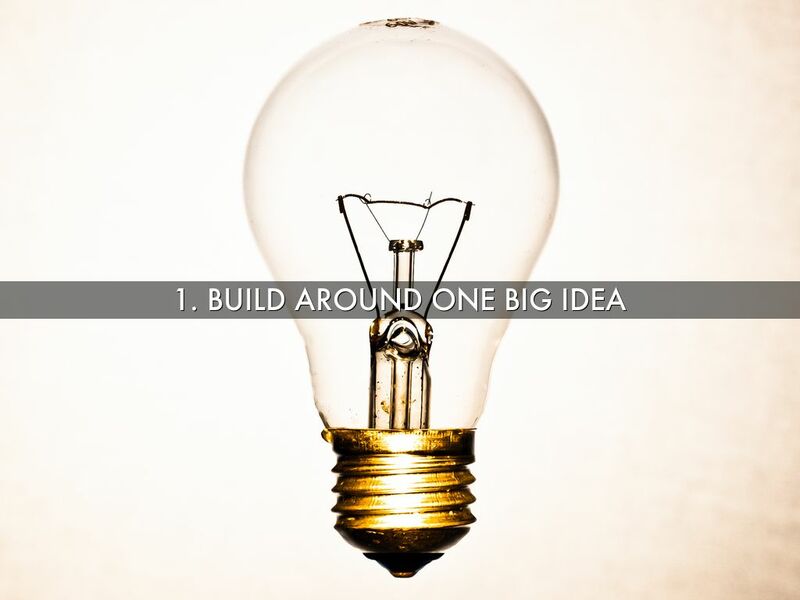 Tip #1: Craft your presentation around one big, memorable idea. In this deck, our big idea is that although many of us are used to creating our presentations in a certain way, it's not too hard to transform the process. 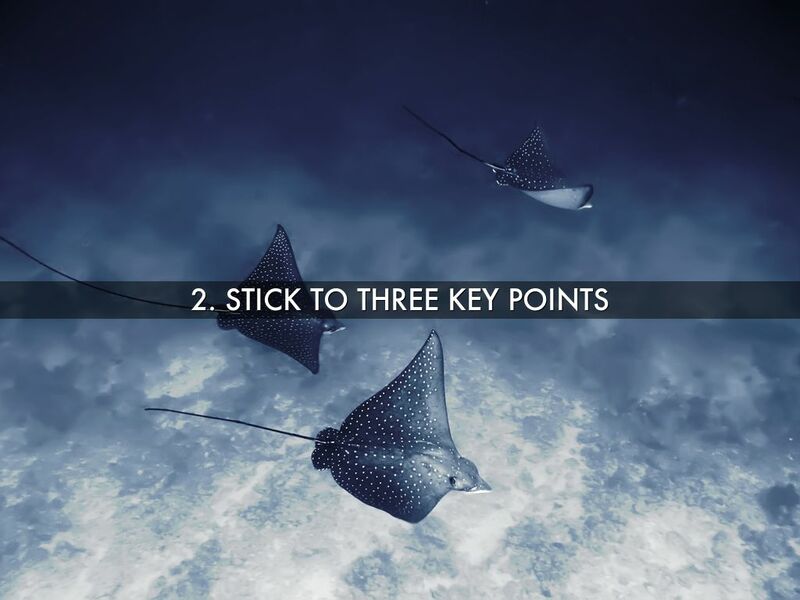 Tip #2: Stick to three key points. That's not three key points per slide....it's three key points, period. 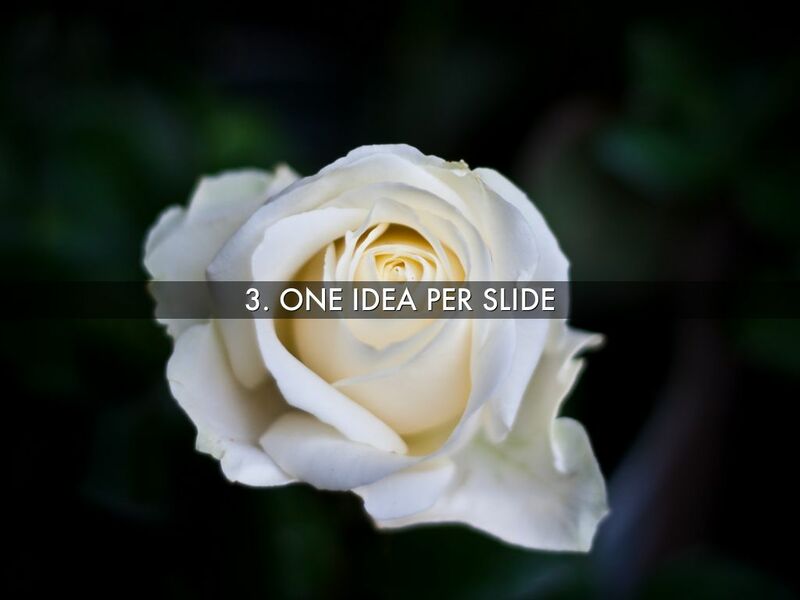 Tip #3: Focus on one idea per slide. 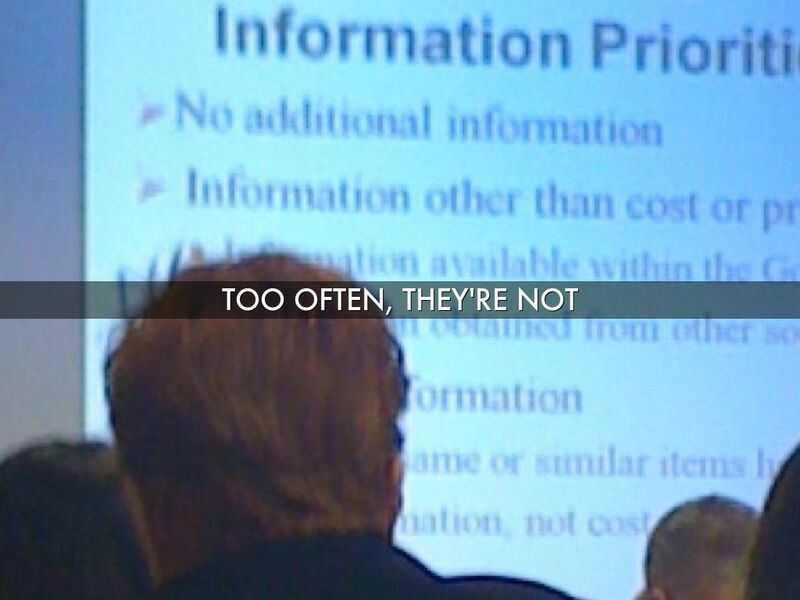 We deliberately limit the amount of text you can put on a slide to encourage this. After all, one idea per slide is really all your audience can absorb. "But," you say, "that will mean I'll have too many slides." 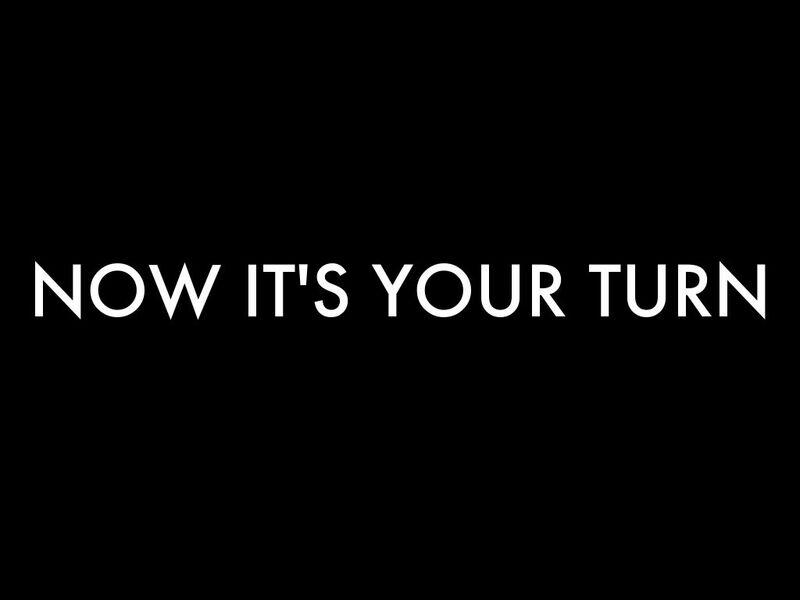 Trust us--it's not the number of slides that matters; it's how clearly those slides communicate your message. 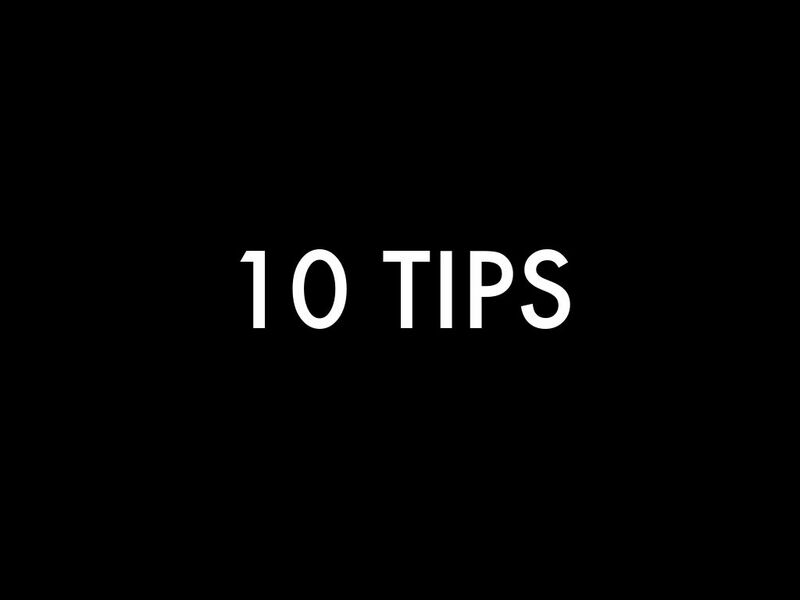 Tip #4: Keep words to a minimum. Some experts have rules about how many words to include on a slide. The general consensus is the fewer, the better. 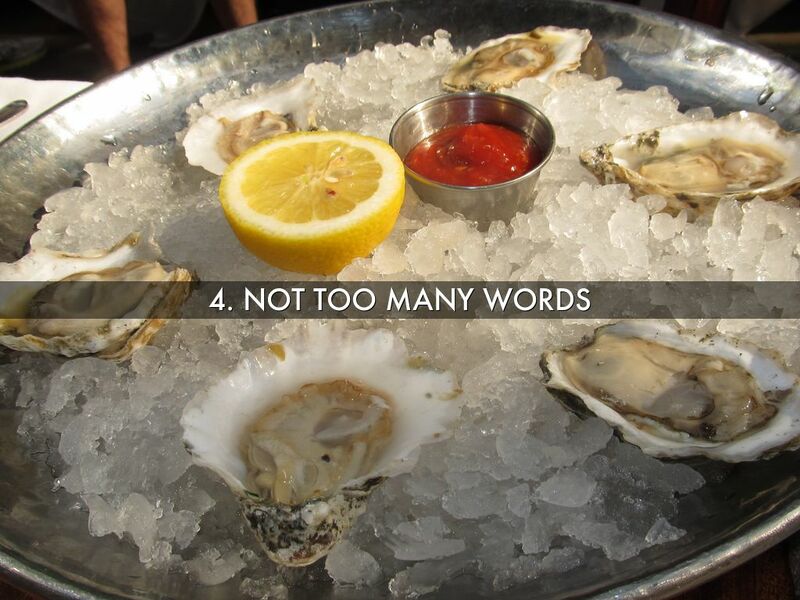 We like to think of words like oysters. About a half-dozen is perfect. Too many more than that is probably overdoing it. Remember, the point of your slides is not to duplicate exactly what you're going to say. It's to reinforce, illustrate, and deepen your message. 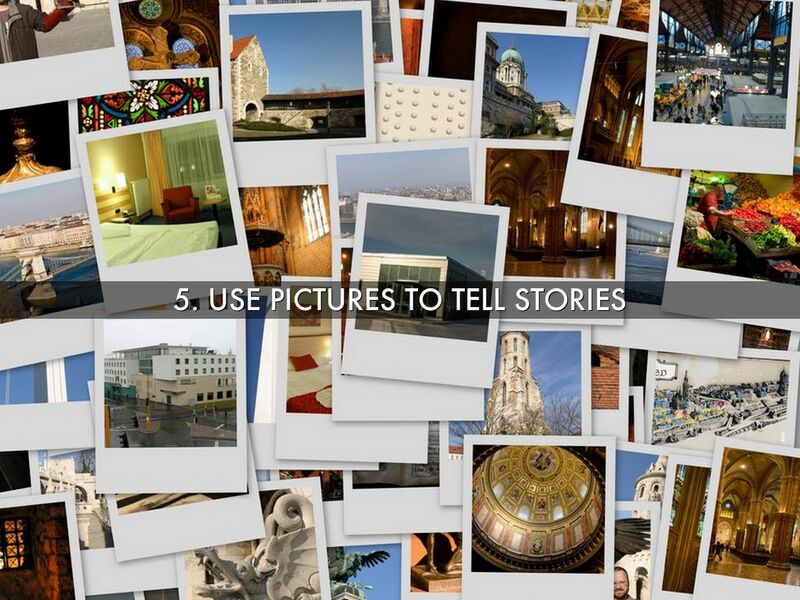 Tip #5: Use pictures to tell stories, not as decoration. Pictures, above all, grab our attention and connect with our emotions, making ideas vivid and memorable. Haiku Deck's keyword search puts more than 35 million free, high-quality, Creative Commons images, plus a million premium images from Getty Images, at your fingertips. You're bound to find the perfect backdrop for your words from this treasure trove, but you can create a chart or import your own images just as easily. 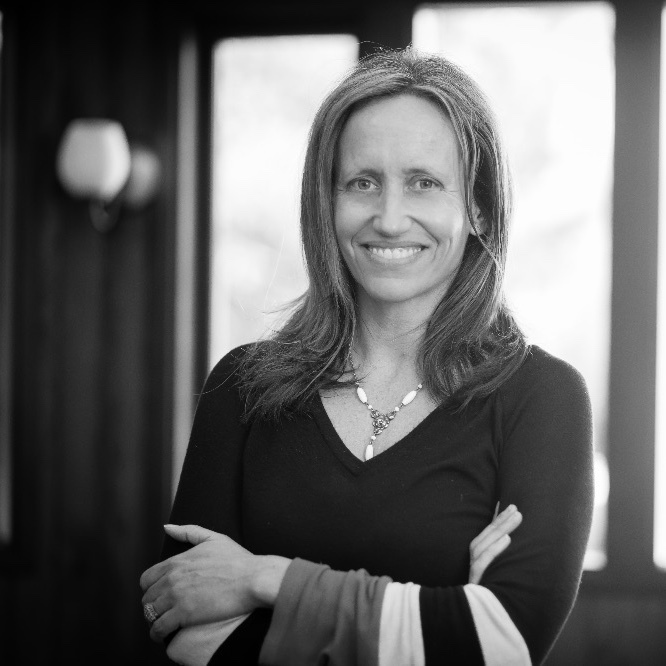 The key is to use your images for true storytelling power, not just as embellishment. 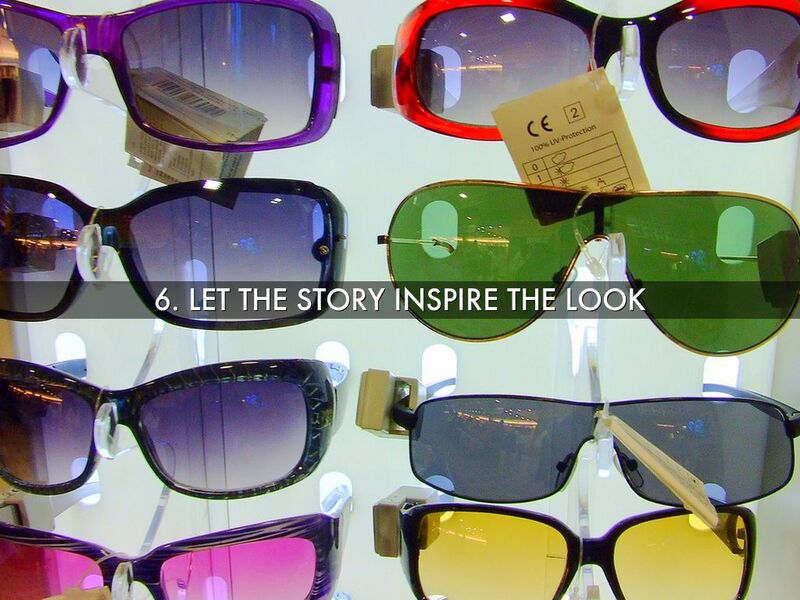 Tip #6: Let your story inspire your look. 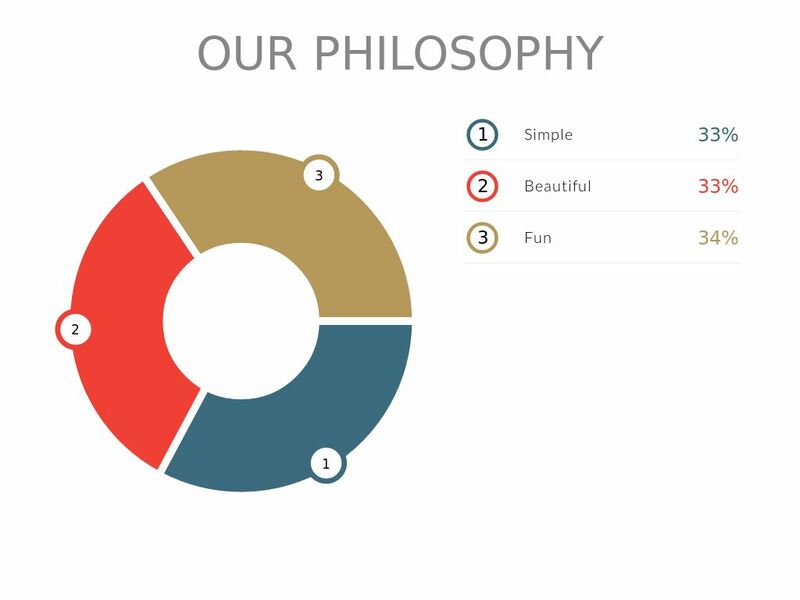 When it comes to presentation design, we often favor consistency over individual style. We grab the corporate template, or we stick with a set combination of fonts, layouts, and colors. We believe every story deserves to be told in its own unique way, and Haiku Deck's range of stylish, one-click themes makes it easy to experiment. Each professionally designed theme includes an integrated font, image filter, and color palette that can effortlessly change the look and mood of your story. 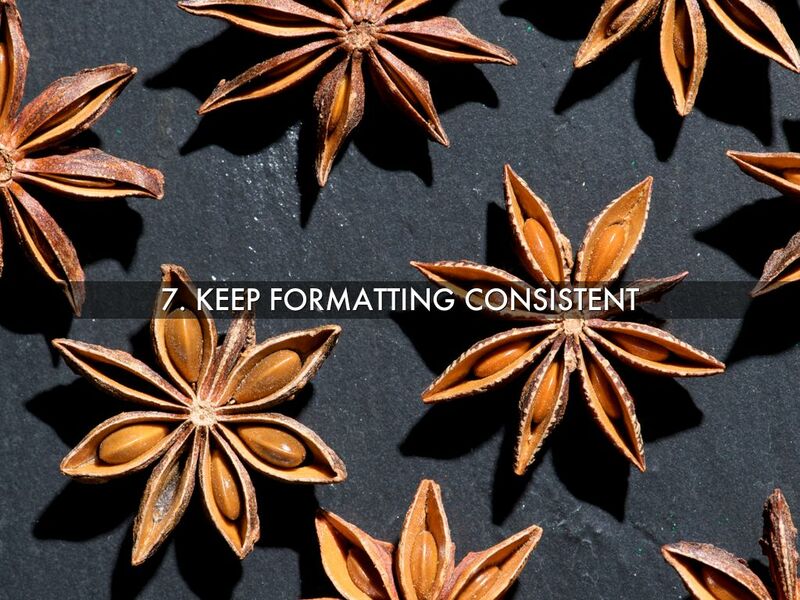 Tip #7: Keep formatting consistent and simple. Did you notice how in this deck, each tip appears in the same place on the slide? And how we used solid-color slides to introduce sections? Think about how your formatting can create a sense of hierarchy and rhythm to aid comprehension. 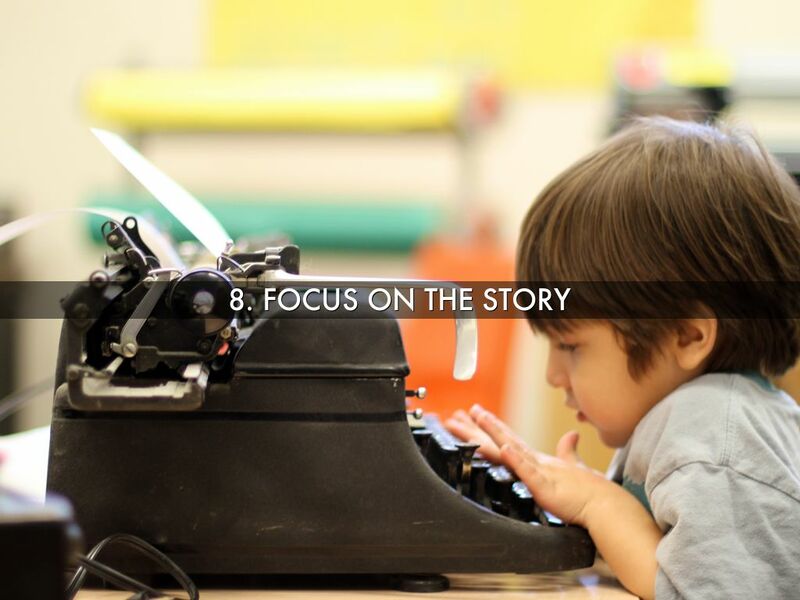 Tip #8: Keep your focus on what really matters: your story. When you're working on a presentation, it's easy to get caught up in time-consuming things like building animations, text formatting, and fancy transitions. 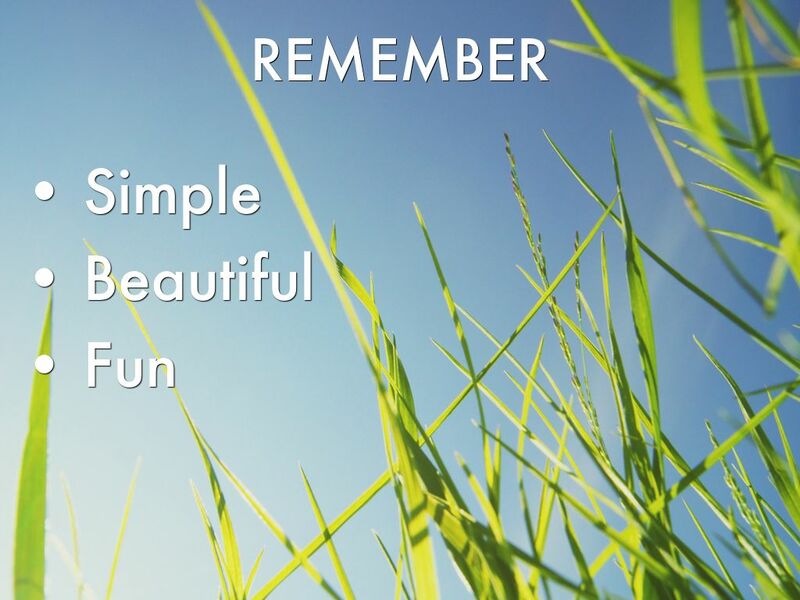 But these aren't the things that make your message memorable--it's the story. 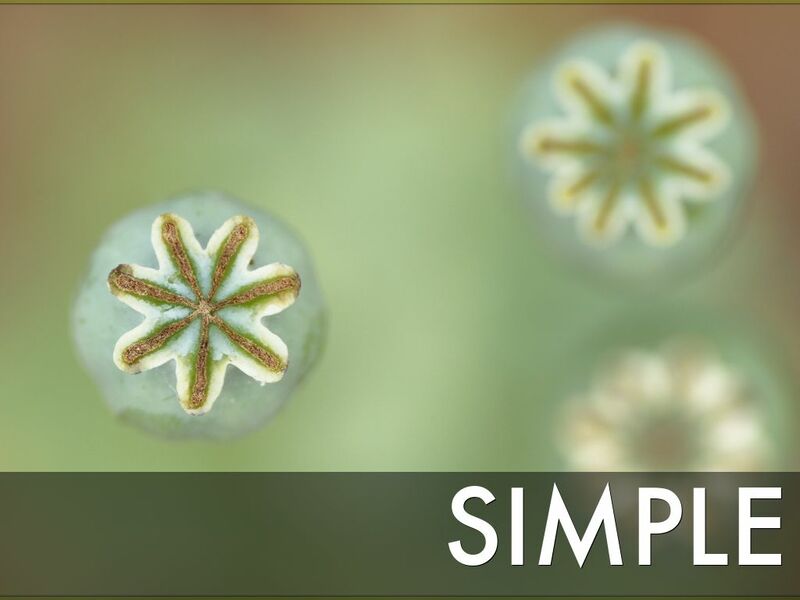 We have tried to make Haiku Deck incredibly simple to use so you can concentrate on your message. 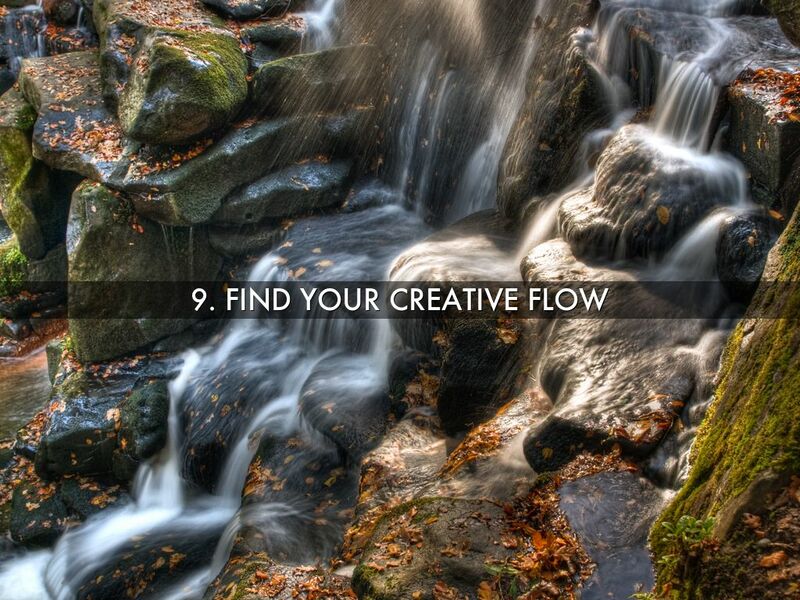 Tip #9: Give yourself time to explore and create. Sometimes a little metaphorical thinking can help you discover your big idea, and everything just flows from there. We often find that the very process of exploring pictures and words with Haiku Deck's built-in image search unlocks ideas and opens up new creative possibilities. In fact, we've designed the app to encourage creative flow. 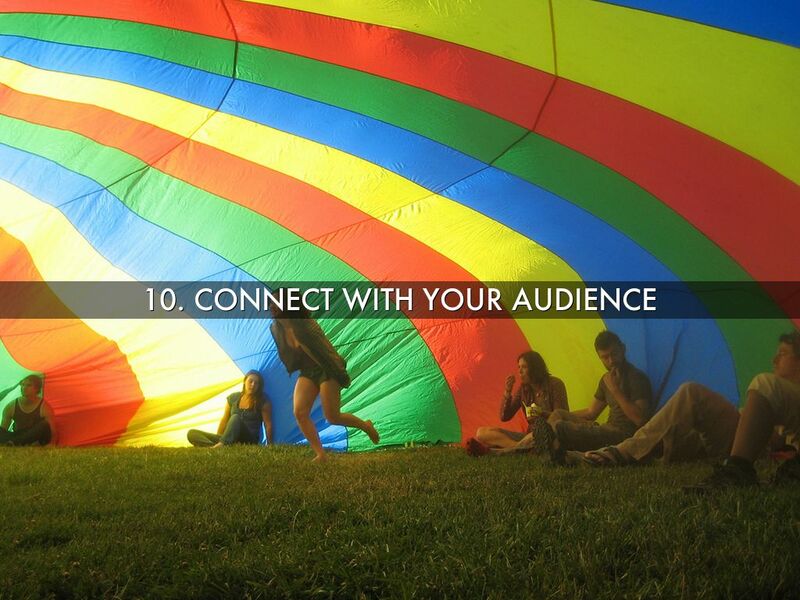 Tip #10: Establish a real connection with your audience. It takes practice not to just read everything you're going to say right off your slides, but it's well worth the effort. When your slides are there to reinforce and beautifully illustrate your ideas, you can engage with your audience in a more meaningful, authentic way. We hope these tips have inspired you to set your story free! 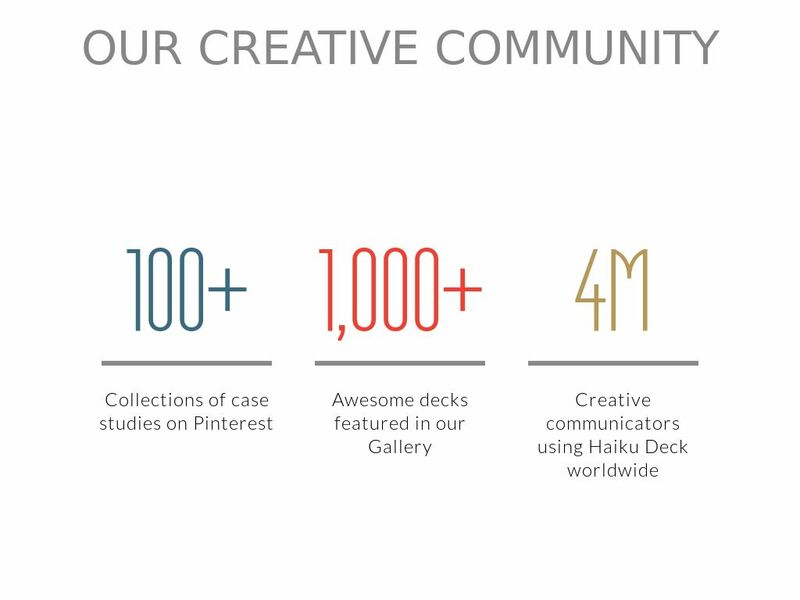 When you make a Haiku Deck, you'll be part of our creative community, which is active, growing, and awesome. Each week our team hand-picks outstanding Haiku Decks covering a wide range of topics to be showcased in our Gallery and our Pinterest boards. Connect with us for more tips and presentation inspiration!